We are delighted to offer for sale this outstanding semi detached property which offers immense accommodation for even the largest of families, the vendors have carefully designed and developed this home in order to offer unrivalled accommodation and some of the features include an unusually large lounge to the rear, supurbly fitted kitchen, ground floor shower room with a bedroom, five well sized further bedrooms on the first floor, large garage and mature good sized gardens to the rear. Manton Drive is situated on one of the most poular roads just off the Old Bedford Road and has all the benefits of being in this excellent location which has great access to all the central amenities as well as travel hubs, the accomodation of the home comprises entrance hall, lounge/dining room, large famiy living room, ground floor study/bedroom, shower room, kitchen dining room. On the first floor there are five bedrooms, supurbly fitted family bathroom, there is also a one a half width garage, off road parking and gardens to the front and mature enclosed private gardens to the rear. To view telephone 01582 958070. Double opening glazed UPVC entrance doors to. Tiling to floor, casement door to garage, further glazed door giving access to. 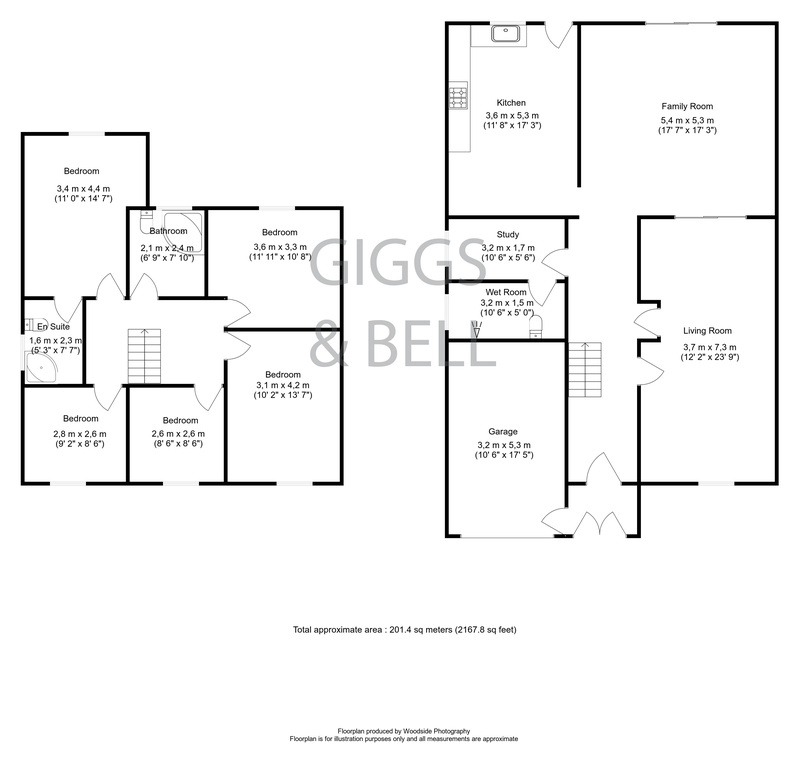 Laminate wood flooring, stairs rising to first floor, understairs storage cupboard, radiator, spotlights and coving to ceiling, access through to. Double glazed window to front elevation with double panel radiator below, laminate wood flooring, coving to ceiling, further double panel radiator and coving to ceiling, sliding patio doors, giving access through to. Coving to ceiling, spotlights to ceilng, storage cupboard, door giving access through to. Window to side elevation, radiator, door giving access to. Low flush WC, Wash hand basin, shower, heated towel rail, radiator to side elevation and extractor fan. Laminate wood flooring, patio doors to rear garden, coving to ceiling, wall light points to radiators. Single drainer stainless steel sink units with cupboards below, pumbing for automatic washing machine and dishwasher, further cupboards at base and eye level and drawer units, five ring gas hob with extractor fan over, split level oven, space for American style fridge freezer, single radiator, double glazed window to rear elevation, casement door giving access to garden, laminate wood flooring. Split landing, coving to ceiling, hatch to loft space. Double glazed window to rear elevation, radiator below, coving to ceiling, door giving access to. Low flush WC, vanity wash hand basin, panel corner bath with mixer taps and shower attachment, tiling to floor, complimentary tiling to walls and heated towel rail. Double glazed window to front elevation, coving to ceiling, radiator. Double glazed window to rear elevation with radiator below, coving to ceiling. Double glazed window to front elevation with radiator below, coving to ceiling. Double glazed window to front elevation, radiator below, coving to ceiling. Low flush WC, vanity wash hand basin, corner panel bath with mixer taps and shower attachment, tiling to floor, tiling to walls, heated towel rail, window to rear elevation. Laid partly to lawn, concrete driveway giving access to. One and a half car width, casement door to the rear elevation, also houses boiler that serves central heating and domestic hot water as well as Megaflow tank heating system. Paved patio terrace area with steps down to lawn extending in excess of 90ft, enclosed by wood panel fencing, mature trees backing onto woodland.